Melo, E. &amp; França, F. (2009). Neotropical Polygonaceae. Herbs, shrubs, lianas ( stem or tendril climbers ) or trees; without latex or exudate . Stipules usually present, connate to form a leaf sheath ( ochrea ), rarely absent (subfam. Eriogoneoideae), leaf sheath tubular, membranaceous or scarious , deciduous or persistent , with bilobed or fringed margins. Leaves simple , alternate (rarely opposite), usually spirally arranged; petiolate or subsessile, petioles often flattened; extrafloral nectaries sometimes present at petiole base; leaf-blades entire , pinnately veined; basally auriculate , cordate , hastate , sagittate , rounded to cuneate , margins entire , sometimes crenate . Flowers usually hermaphrodite , small, if unisexual then plants monoecious , polygamo- monoecious or dioecious ; inflorescence cymose, terminal , or in axillary racemes, corymbs, spikes and heads, sometimes in axillary fascicles; involucral bracts sometimes present, developed and showy, regular, 2-5- merous , cyclic to partially acyclic; hypanthium, when present, free , hypogynous disk or nectaries present between the androecial members; calyx and corolla distinct, or both sepal -like or petal -like, 2-6, free or joined, 1-2- whorled or spiralled, persistent in fruit and often accrescent ; stamens (2-)6(-9) to many (Symmeria Benth. ), free or adnate to the perianth (usually more or less perigynous ), free or connate ; gynoecium (2-)3 carpelled, syncarpous, styles 2-3, free to partially jointed, apical, stigmas 2-3, ovary superior , unilocular, uniovulate, placentation basal , orthotropous. 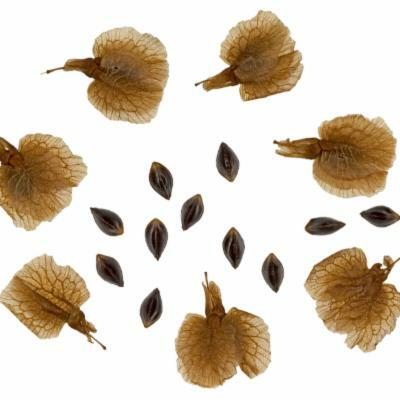 Fruit dry, indehiscent usually a trigonous or flattened nut or achene -like, sometimes enclosed by a fleshy hypanthium or perianth , 1 seeded. Seeds with ruminate (Coccoloba P. Browne) or not- ruminate endosperm , oily, starchy, cotyledons 2, embryo straight to curved. Traditionally the Polygonaceae were placed within the Caryophyllales on the basis of the unilocular ovary and single, basalovule. However, recent studies have revealed that the family lacks the P-type sieve-tube plastids, anatropous ovules, betalain pigments and perisperm characters that characterise the order Caryophyllales. Recent studies by the APG II (2003) still include the Polygonaceae within the Caryophyllales. Leptogonum (one species endemic to Hispaniola). 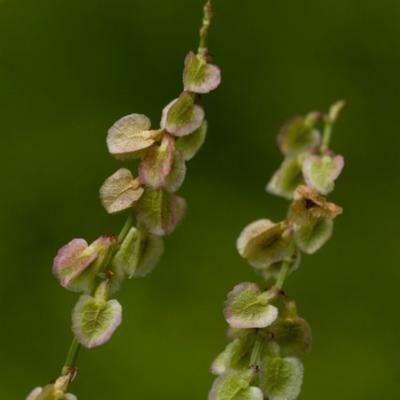 While Coccoloba, Ruprechtia and Triplaris are endemic to the Neotropics, Rumex, Polygonum and Antigonon have weedy status, with species of knot-weed (Polygonum) being particularly invasive in Europe. Antigononleptopus Hook. & Arn. originates from Mexico but is cultivated worldwide because of its showy flowers. Buckwheat, used in Japan for making pasta (soba, Fagopyrumesculentum Moench) is an increasingly popular, gluten-free alternative to wheat. 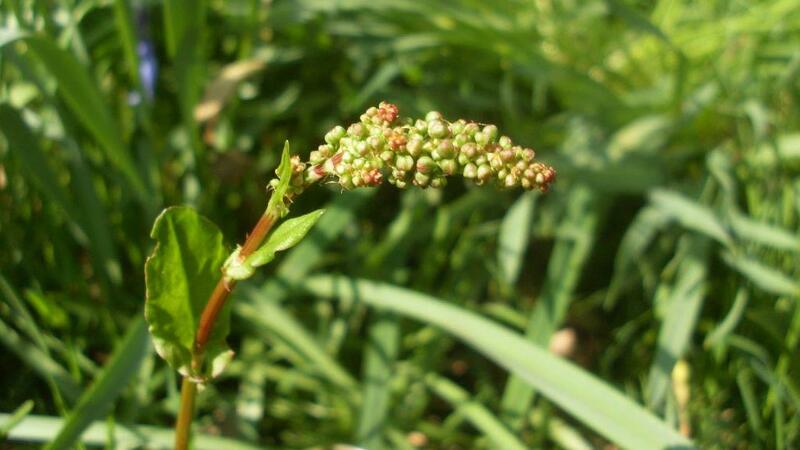 The Polygonaceae are cosmopolitan, with most genera and species occurring in northern temperate regions. 31 genera are found in the western hemisphere. 16 of these genera are restricted to western North America, with 3 disjunct to Chile and Argentina. Neomillspaughia S.F.Blake, Podopterus Kunth, Gymnopodium Rolfe and Antigonon Endl. are restricted to Central America. The monotypicLeptogonum Benth. is endemic to Hispaniola. 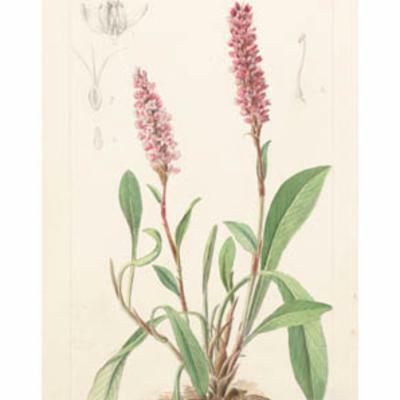 Polygonum L., Rumex L., and Persicaria L. are cosmopolitan. Flowers small, often unisexual (Coccoloba), sometimes with attractive bracts (Antigonon). Fruits with accrescentcalyx (Triplaris). Stems often with conspicuous swollen nodes. Ochreas are present in the Polygonoideae, absent in the Eriogonoideae (this subfamily is not represented in the Neotropics). 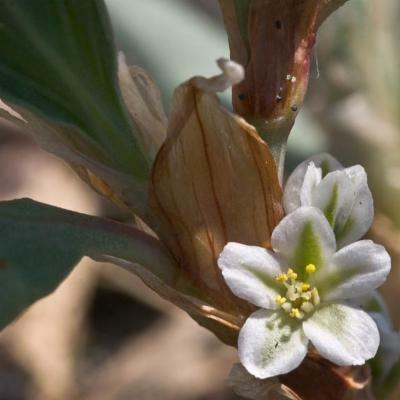 Polygonaceae are characterised by the presence of the ochrea (absent from subfam. 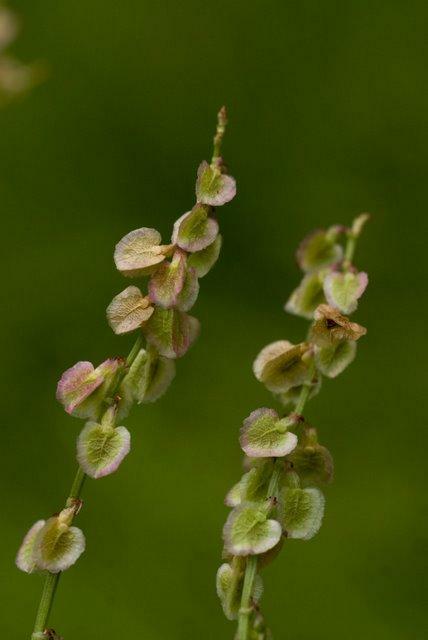 Eriogonoideae), and have leaves spirally alternate, swollen nodes and involucred inflorescence. Vegetatively they can be confused with Piperaceae (swollen nodes, leaves with irregular base) but they have a deciduousterminalstipule and very small flowers densely arranged in spikes. Coccoloba - erect or climbing woody plants, unisexual flowers and pedunculate fleshy fruits. Ruprechtia - trees to shrubs, three-winged fruits, female partial inflorescences 2-3-flowered, male flowers pedicellate, twigs often solid. 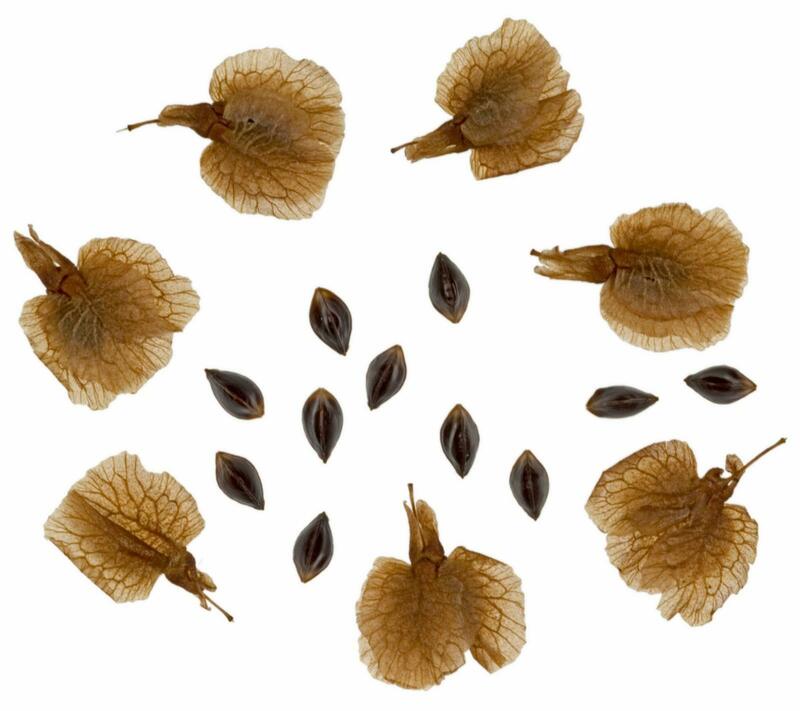 Triplaris - shrubs to trees, three-winged fruits, female partial inflorescences 1-flowered, male flowers sessile, often associated with ants that live in its hollow branches. 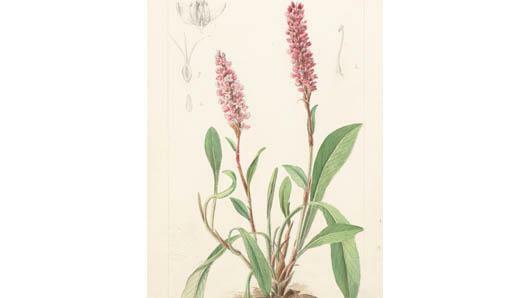 Polygonum - erect herbs with flowers in spikes, closely allied to Persicaria. Antigonon - climbing plants with showy bracts protecting inflorescences. BRANDBYGE, J. 1986. 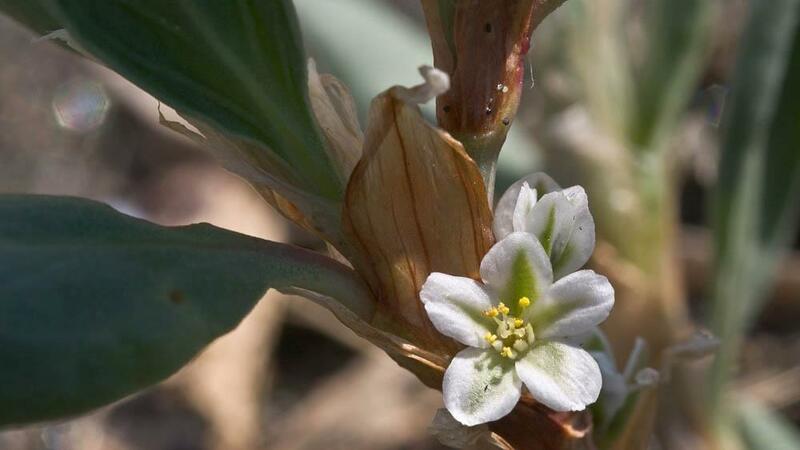 A revision of the genus Triplaris (Polygonaceae). Nord. Journ. Bot. 6(5). BRANDBYGE, J. 1989. Polygonaceae. Flora of Ecuador. 38:39. BUCHINGER, M. & SANCHEZ, E. 1959. Sinopsis preliminar de las especies argentinas del genero Coccoloba. Bol. Soc. Arg. Botanica, v.7, n.3/4, p.251-255. BURGER, W. 1983. Polygonaceae. In: Burger. Flora Costaricensis. Fieldiana Botany. Field Museum of Natural History, n.s. 13, p.99-138. CIALDELLA, A. M. 1989. Revisión de las espécies argentinas de Polygonum s.l. (Polygonaceae). Darwiniana 29(1-4):179-246. CIALDELLA, A.M. 2001. Polygonaceae. In Spichiger & Ramella. Flora del Paraguay v. 33: 1-106. HOWARD, R. A. 1960. Polygonaceae. In: Woodson (ed.). Flora of Panama. Annals of the Missouri Botanical Garden, 47: 340-357. HOWARD, R. A. 1961. Studies in the Genus Coccoloba, X. New species and a summary of distribution in South America. Journ. Arn. Arb. 42(1): 87-95. HOWARD, R. A. 1992. Collected notes on Coccoloba L. (Polygonaceae). Brittonia 44: 356-367. MARTÍNEZ, R. V. 1997. Polygonaceae. In: Lleras & Taylor. Flórula de las reservas biologicas de Iquitos. Peru. Missouri Botanical Garden. Press. p.587-592. MELO, E. 1996. Levantamento das espécies de Coccoloba (Polygonaceae) da restinga do estado da Bahia, Brasil. Sitientibus 15:49-59. MELO, E. 1998. Levantamento da família Polygonaceae no estado da Bahia, Brasil: espécies do semi-árido. Rodriguesia 50(76/77):19-37. MELO, E. 2000. Polygonaceae da Cadeia do Espinhaço, Brasil. Acta Bot. Bras. 14(3):273-300. MELO, E. & F. FRANÇA. 2006. A familia Polygonaceae no semi-árido brasileiro. In A.M. Giulietti et al. (eds) Diversidade e Caracterização das fanerógamas do semi-árido brasileiro. In A. Giulietti & L. Queiroz Instituto do Milênio do Semi-Árido, v. 1, p. 437-488. PENDRY, C.A. 2004. Monograph of Ruprechtia (Polygonaceae). Systematic Botany Monographs 67: 1 - 113. Besides the above indigenous genera, Antigonon leptopus Hook. & Arn., a native of Mexico, is often met with; it is widely cultivated as an ornamental and is known as "Corallita." Rheum × hybridum Murray, rhubarb, with cordate leaves up to 1 m long, is sometimes grown for its edible petioles. 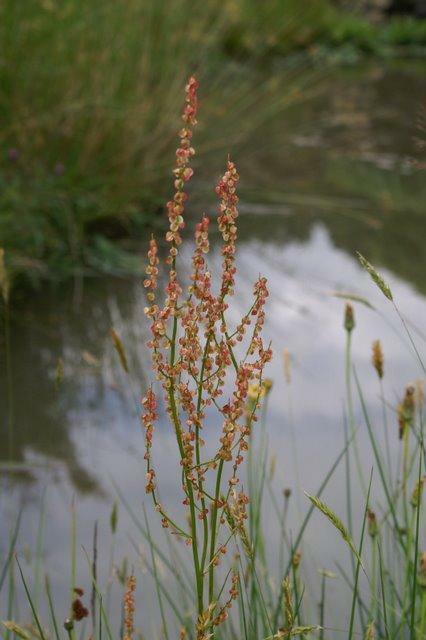 Bistorta amplexicaulis (D. Don) Greene (Polygonum amplexicaule D. Don), from the Himalayan region, has been grown as a garden ornamental in Zimbabwe, e.g. Harare, Cleveland Dam, private garden, fl. 15.iii.1969, Biegel 2905 (K; SRGH). 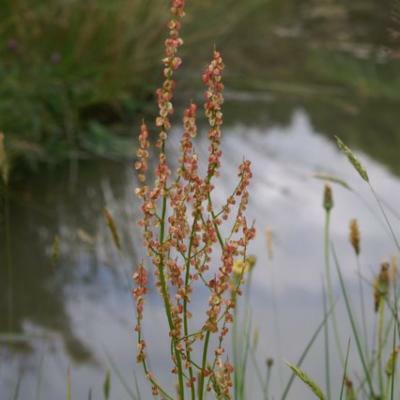 It is a rhizomatous perennial with stems to 1 m from a rosette of basal leaves; stem leaves ovate, upper ones amplexicaul; flowers blood-red, c. 4 mm long, in spiciform panicles. 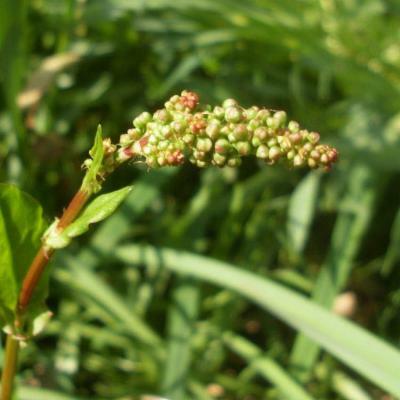 Bistorta is similar to Persicaria, differing in its rhizomatous rootstock and basal leaves. A family with c. 43 genera and about 1100 species, cosmopolitan and mainly north temperate, but also in tropical regions.